The MoVE project was founded in 2013 by Elsa Oliveira and Jo Vearey at the African Centre for Migration and Society at the University of the Witwatersrand, South Africa. MoVe is a repository for innovative visual and narrative research showcasing the subjective realities of migrants in southern Africa. MoVE’s approach seeks to incorporate social action and research by engaging migrant participants, local social movements and students in participatory work through photography, narrative writing, participatory theatre, and collages to produce research on migration. These participatory approaches encourage the narration of migrants’ lived experiences whereby the recording of each storytelling becomes an ‘artefact’ that can be shared with diverse audiences through MoVE. MoVE specifically includes innovative research that can facilitate increased insight into the complex lived experiences of migrants and communities and actively promotes partnerships created with inter-represented migrant communities. MoVE believes in the importance of participatory research to inform advocacy projects. The Little Portugal Project is an activist London-based project led by Ana Có and Carolina Mesquita. The aim of the project is to represent the diverse voices of the Portuguese-speaking community in London including those of African and Latin American descent. Through videos, photographs, and other visual content, the Little Portugal Project explores the stories of Portuguese-speakers in Stockwell, an area in the Borough of Lambeth in South London known as Little Portugal. Migrants in this area have created a community where Portuguese businesses are managed by the migrants themselves, offering everything from traditional dishes to Portuguese-made products. The Little Portugal Project actively enables the subjective experiences of Portuguese speaking migrants to be heard. 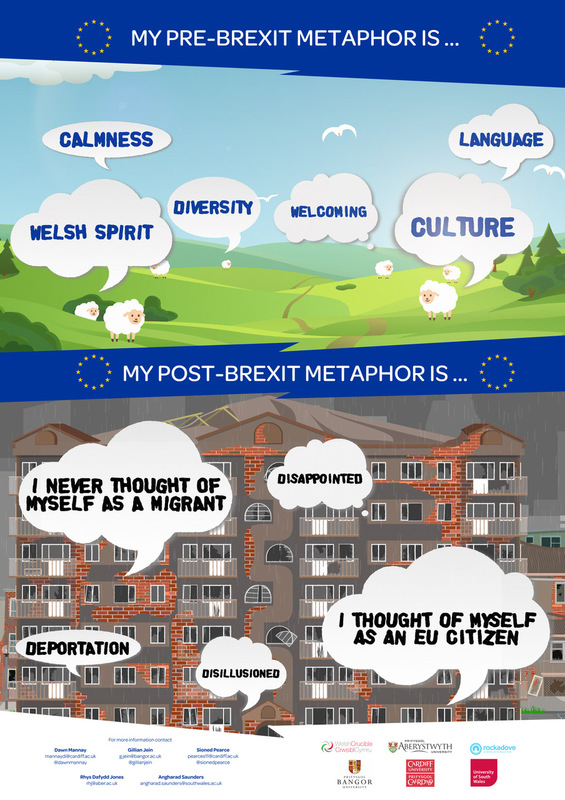 The use of visual media is effective in capturing the experiences of Portuguese speaking migrants and depicting their work trajectories, which can function as possible role models for other migrants. Video interviews featured by the Little Portugal Project are produced at a professional standard and successfully capture the worldviews of these migrants who are largely unrepresented in the media and in accounts about London in general. The visual methodology in this research enables interviews to become personal and intimate, allowing the embodied experience of these migrants to be communicated meaningfully to a larger audience. Migrant Child Storytelling acknowledge that every child has a story to tell. 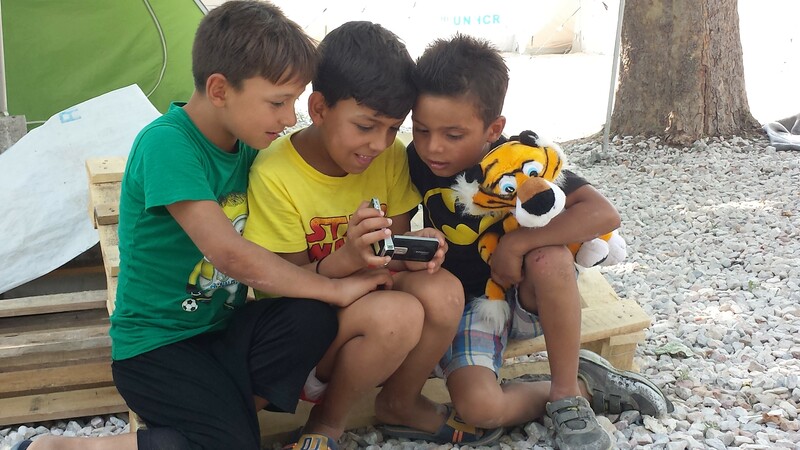 Supported by the Rights and Opportunities Foundation, Migrant Child Storytelling gather and share stories submitted by migrant children from all around the world, whether in the form of pictures, photographs, video or text. It is a platform through which the child’s voice, too often ignored, can be heard, and the child’s vision of their world can be seen. The term ‘migrant’ is deliberately used in order to refer to all children who have been forced, or have chosen, to leave their home country for any reason, and who are trying to establish a life in another country. Anyone who is under the age of eighteen is welcome to submit material. If you are working with children under eighteen please encourage them to make use of this site. Guidelines for how to run a workshop with young people to gather materials is available here. The materials must be collected following UNICEF guidelines and with the consent of the child’s parents/caretakers if they are under 16. 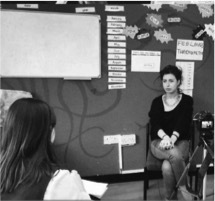 In 2012 and 2016, Cigdem Esin and Corinne Squire, together with a number of colleagues, ran two interconnected projects in East London and Calais refugee camp using multimodal narrative methodology. 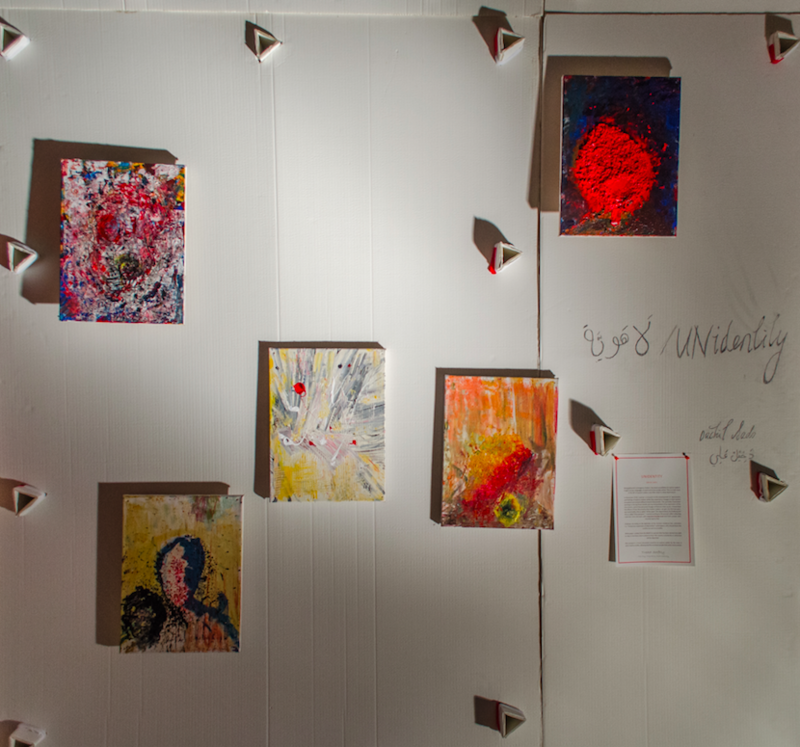 The aim of these projects was to facilitate the creation of visual, written, verbal and process narratives of participants’ lives, to open up a space for storytellers to explore the interrelations between personal and cultural resources. Similar methods were used in both projects but the processes differentiated in response to the context and group of participants. The first study was conducted in 2012 with a small group of young British Muslim women in a community school in East London. 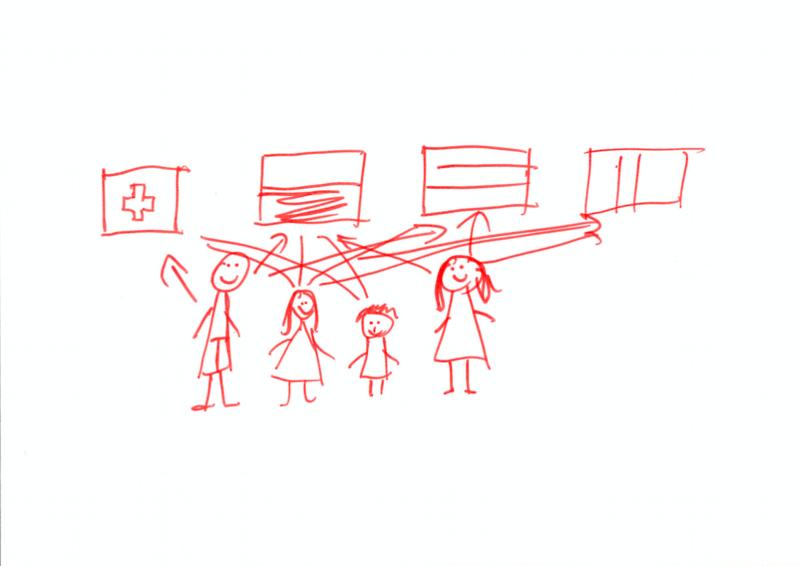 The study team ran weekly workshops over a few months in which the participants were asked to create visual images about any aspect of their lives. 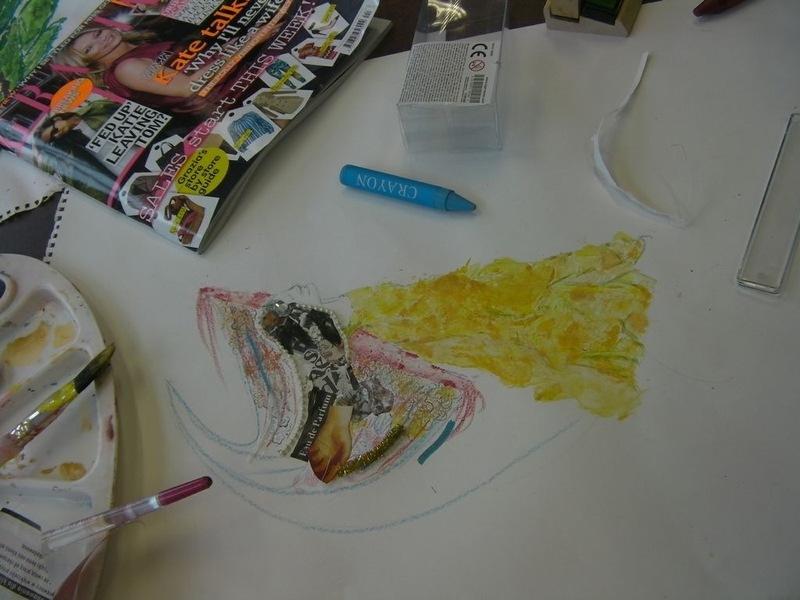 Participants were provided with a range of image making resources such as acrylic paint, coloured pencils, crayons and craft material. The study team facilitated the workshops by engaging in conversations with the group about various aspects of everyday life such as life at school/university, families and friends. The participants were then interviewed about their images, their participation in the workshops and their interaction with other workshop participants/study team. An article by Cigdem Esin analyzing some of the narratives from this study could be viewed here. The second project was carried out in 2016 with the residents of Calais refugee camp as an impact project. The aim was to use multimodal narrative methodology in order to constitute a space for refugee storytellers to tell their individual and collective life stories with links to their past, to their membership in refugee communities and to broader socio-cultural contexts in which their stories were circulated for various purposes. The project involved visual storytelling workshops in which participants were asked to create visual stories about themselves, their journey or their life in the refugee camp. These were one-off workshops due to the material conditions of the camp. The project team was engaged in conversations with the participants and asked them to produce short narratives about their images where possible. 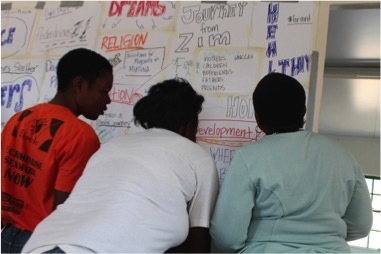 Some of the images from one of the visual storytelling workshops in the camp can be viewed here. Creating Hackney as Home (CHASH) used participatory video production to explore how young people experience a sense of home and belonging under conditions of rapid urban change; how they negotiate and manage these changes in order to maintain their sense of home; and to evaluate the effectiveness of visual research methods in portraying affective relationships within, and with, the city. 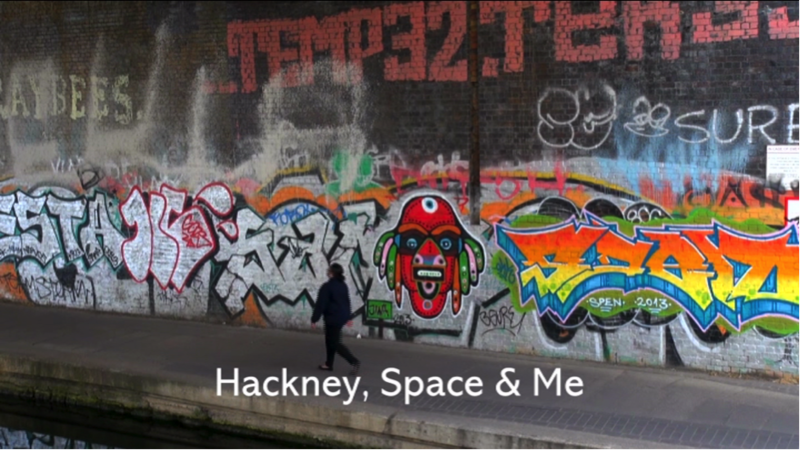 Facilitated by cultural geographer, Dr Melissa Butcher, a team of five peer researchers from the neighbourhood spent a summer creating short films that captured their experience of living in the east London Borough of Hackney. From journeys through the city came reflections on the impact of gentrification, using fashion to demarcate belonging and being different, growing up and out of space, and managing everyday cultural diversity. Following the completion of filming, the videos were made publically available, via screenings, the website and social media, to invite a wider audience into dialogue on the issues raised. 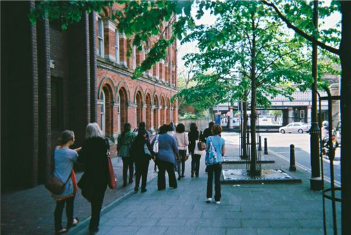 The research also collated ethnographic description of particular sites within the borough and incorporated the research team’s critical reflections recorded on flipcams throughout the project. Key findings included that while demolition of the built environment and existing social networks was evident, there was also an ambivalence expressed towards change. Crucially, young people were found not to be necessarily averse to change in itself but to those changes that they felt left them, and other residents, marginalised. Particular concerns centred on inequality, displacement and the speed of change. The transformation in the physical and socio-economic character of Hackney has led some young people to question whether they fit into the emerging urban landscape. Adapting to this context was for some at times seen as an opportunity but for others it was a more challenging process. Maintaining a sense of home did not necessarily require learning new ways of doing things, but instead required coming to terms with change emotionally. This Spring 2017 course at Bard College Berlin is a continuation of the Fall seminar In Search of a History: Migration in Germany from World War II to the Present, focusing on students’ individual projects that seek to give visual, verbal, spatial, musical, and general aesthetic and sensory expression to previously collected knowledge of migration history and experience. The projects need not have the ambition of entering the realm or category of “art”: we consider them “notations,” recording our perceptions and thoughts in the modes of articulation that suit us best. First, we will review the historical data, tools, and concepts of migration history that allow us to achieve an analytical distance and conceptualize as well as historicize our material. Subsequently, we will work on a collective visualization project. The major part of the course is dedicated to developing and completing the individual projects and findings solutions for exhibiting them. We will cooperate with a number of renowned artists who will add creative, formal, and practical input and advice to our historical and linguistic framework. The project will be exhibited as part of an international conference on migration history. One panel has been reserved for us to present the projects and to reflect on the relations between migration, research, education, and creativity that we will have uncovered through our work.